UPDATED: Thu., May 17, 2018, 6:45 p.m.
INDIANAPOLIS – Josef Newgarden brought Team Penske’s prestigious No. 1 car to Indianapolis. Since then, the defending series champion has mostly been out of the spotlight. He watched one teammate, Will Power, dominate opening weekend to give the team its 200th series win. He’s seen another, Helio Castroneves, become a focal point this week as he pursues a record-tying fourth Indianapolis 500 victory. Newgarden, meanwhile, is content to go back to work. Distractions have never been a problem for Newgarden. He’s methodically progressed at every step of his journey. Long before joining Roger Penske’s powerhouse team, the jovial Newgarden embraced throngs of adoring fans following him around the track and the pressure of being dubbed IndyCar’s next big star. He’s even willing to sell the sport wherever and whenever he’s asked. Yet despite all those obligations, Newgarden’s performance improved each year. Rather than trying to beat Newgarden, Penske hired him, and it’s become a perfect match. Last year, Newgarden won a career-best four races and claimed his first series title. What Penske liked most, though, was seeing how Newgarden fit on a star-studded team. 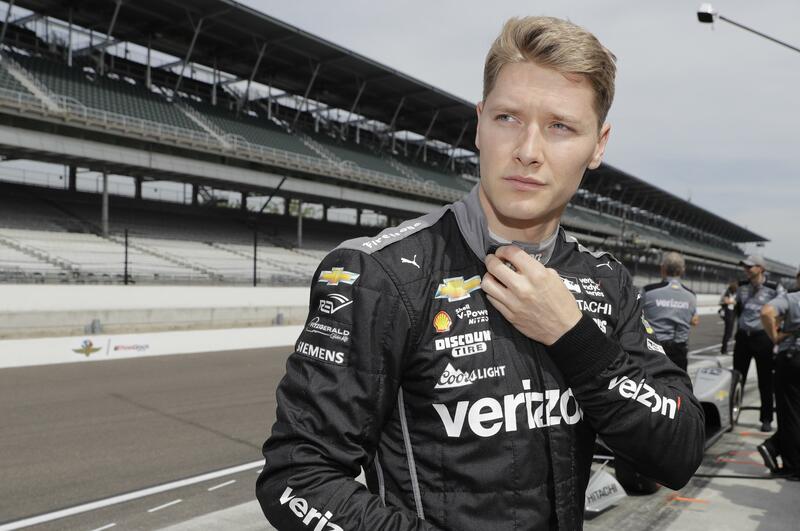 Newgarden’s consistency hasn’t followed him to Indianapolis yet. He’s made 10 career starts at the speedway, three on the road course, and only has two top-10 finishes. His career best, third, came two years ago in the 500. This month has been rather ordinary, too. He qualified sixth and finished 11th in Saturday’s road race. He was third fastest in the first full practice on Indy’s 2.5-mile oval and wound up 12th on the speed chart in Wednesday’s practice with a fast lap of 224.766 mph. But Newgarden has been around long enough to understand how this game works. Right now, lap times can be deceiving and it’s not all about the speed anyway. Some teams try to simulate qualifying conditions, others prefer race conditions and some like running in traffic. Weight can be added or subtracted, impacting speeds, based on how much fuel they use. The only known quantity this year is that these new cars will change again when series organizers give each of the 35 cars an extra boost of horsepower starting Friday. All four drivers – Newgarden, Power, Castroneves and 2016 IndyCar champ Simon Pagenaud – will share data, giving Penske’s team enough information to make adjustments before and after qualifying begins Saturday. The pole winner will be determined in Sunday’s shootout and the race is set for May 27. But Penske hasn’t won a record 16 Indy 500s or a record 17 Indy 500 poles by showing his cards early. He expects bigger and better to come from the guy who finished last season in the top spot. Published: May 17, 2018, 2:18 p.m. Updated: May 17, 2018, 6:45 p.m.